"Snowboarding makes me happy, that's about it." this feeling you get when you strap into a snowboard that is unlike anything else. Completely surrounded by nature you can let go of everything but the moment. It is you, your snowboard, and the mountain around you. When I was 13 years old, around the time I started drawing, I had this crazy idea that I would design snowboards for Burton, then, one day go on to own my own company. It was a dream, a fantasy, but I paid attention to it. I began restlessly drawing snowboard designs in the back of Mr. Grey's English class, continuously feeding the dream. As high school and competitive hockey came to an end, I was quickly consumed by making art. I found myself at the University of Vermont in the fall of 2011 as a declared Studio Arts major and was eager to get going. I knew right away everything that came with studying art and was fully prepared to handle it. It was never about the money, it was always about the freedom to create. During my junior year at UVM it all came together. After years of making art and being completely submerged in the snowboarding culture I thought, why not us? We have all of the pieces. The art, the environmental background, and the passion for snowboarding. Once the idea was planted there was no turning back. We put our heads to the grind stone and got to work. With perfect pieces to a the puzzle, we set out on a mission. 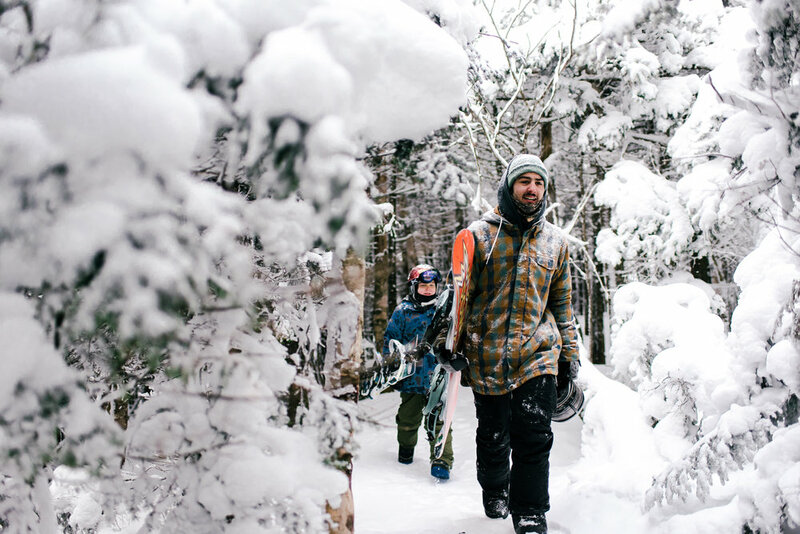 A mission to create the most beautiful and most sustainable snowboards on the market.